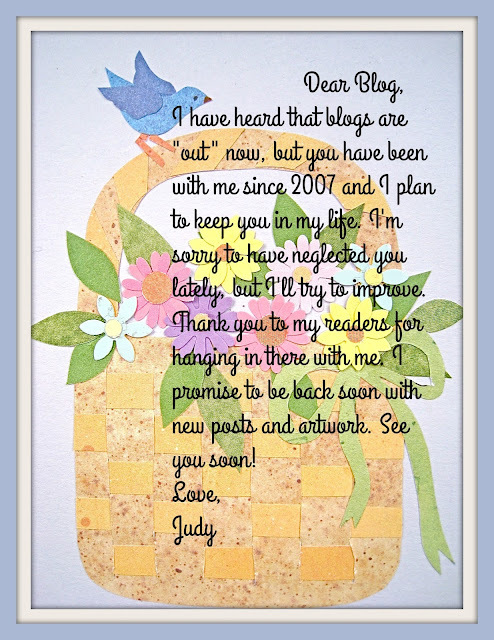 I still love blogging too. Looking forward to your new blog look, Judy. Glad you're sticking with your blog. I'd miss it if it weren't here. while we go on with what works best for us. I love visiting blogs. And blogging. instead of quit. Maybe we all need to build more rest into the process. I admire how you haven't let your blog demand of you.